Graham Norton hosts the House of Fraser British Academy Television Awards from the Royal Festival Hall in London. 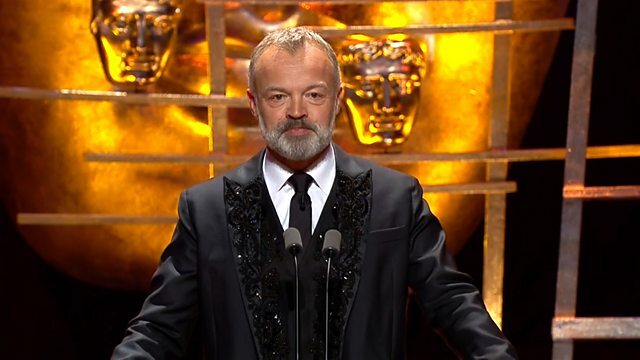 Graham Norton hosts the House of Fraser British Academy Television Awards live from the Royal Festival Hall in London. Norton himself is nominated in the Entertainment Performance category for The Graham Norton Show, and other nominees for the various categories include Idris Elba, Sheridan Smith, Hugh Bonneville, Miranda Hart, Peter Kay and Stephen Fry, along with programmes such as Wolf Hall, Adele at the BBC, First Dates, Doctor Foster, Humans and I'm a Celebrity... Get Me Out of Here!